He grows a handlebar mustache…sometimes. 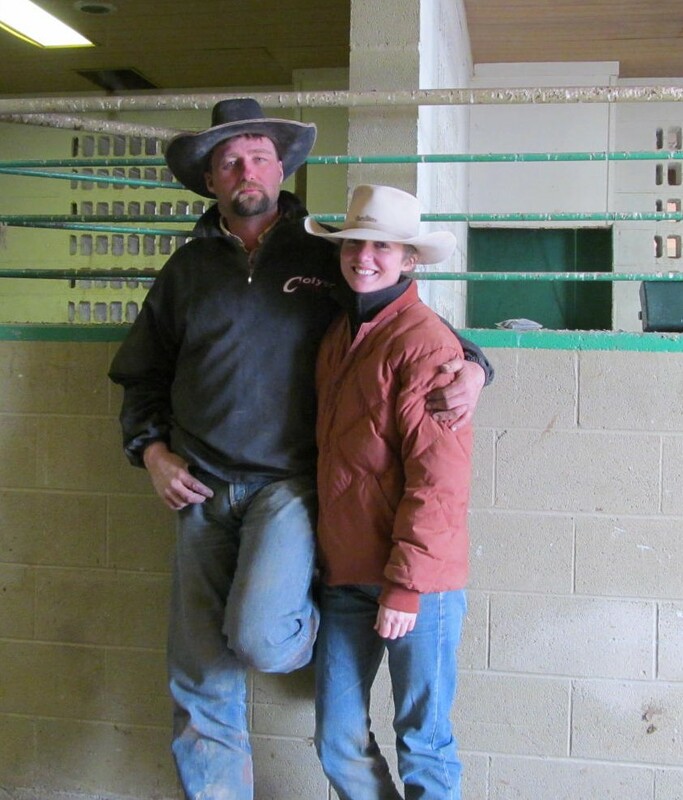 He uses a reata in the branding pen….sometimes. He rides a swell-fork saddle and team ropes in town, but with mulehide on his horn. He sports a government handle haircut but listens to classic rock. Is your man a buckaroo? Here are ten clues. 1) He has never seen the ocean. 2) He can’t swim. Have you seen how many swimming holes there are in the Great Basin? Yeah, like two, and they’re seasonal. PS: they’re never in season. 3) You say “Fourth of July” and he hears “McDermitt Ranch Rodeo.” This can be substituted with “Owyhee” or “Bridgeport, California,” but never with “hot dogs, a lake trip and fireworks,” which is a dead giveaway that you did not marry a buckaroo; you married a normal American citizen. 4) He picked you up for your first date in a ’92 single cab Ford with out-of-state expired tags. 5) He doesn’t own a pair of tennis shoes. 6) The floor of his pickup is covered with fencing pliers, travel mugs, empty Copenhagen cans and cow poop, but his shoeing outfit is meticulously organized and covered with his shoeing chaps to protect it from dust in the barn. 7) He can work two days straight with nothing but Copenhagen, beer and coffee for sustenance. 8) Christmas and Thanksgiving are negotiable, but every year on the third weekend of May he is guaranteed to be in Jordan Valley, Oregon; Fourth of July he will be in McDermitt, Nevada/Oregon (yes, I mentioned it twice. It’s THAT important); and Labor Day he will be at the Elko County Fair in Elko, Nevada. 9) Your Mother’s Day, anniversary, birthday and Christmas presents are always either homemade rawhide items or bought at a rodeo trade show. 10) The family vehicle might have sun damage on the hood and a cracked dashboard, and the horse trailer might have a few rusted-out spots on the supporting side bars, but the horses he unloads in town will be brushed from forelock to tail, sprayed with Showsheen and standing on fresh iron. Wow, this was way too autobiographical! I feel like I just divulged too many Young family secrets. 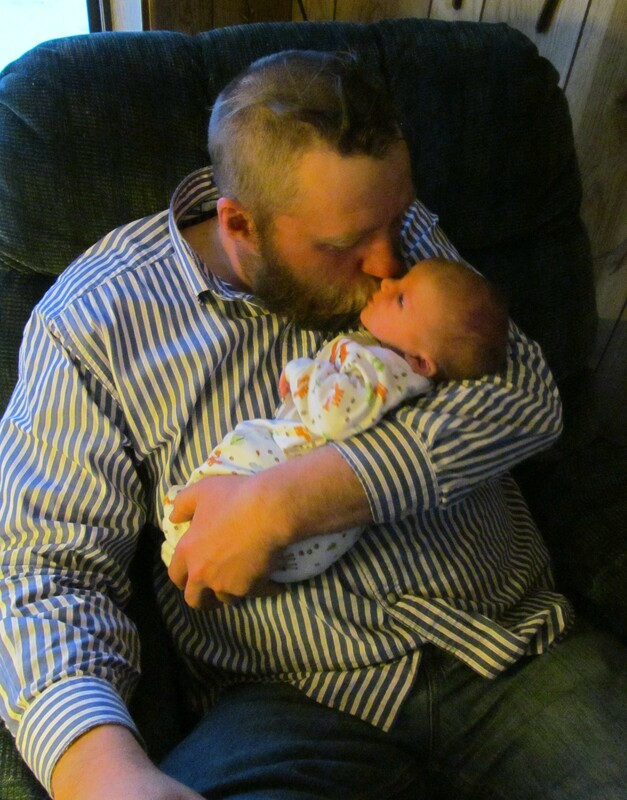 Well, I guess it was no secret my husband is one of the last two brushy buckaroos runnin’ around the country. He’s clearly taken, but Tub Blanthorn is still up for grabs. Any woman that snags ol’ Tubby better be able to ride a horse, rope a horse, shoe a horse and drink whisky and Coke. Interested parties may send inquiries to the Cowboy’s Pastime Bar in Bruneau, Idaho, 208- 59 – oh, wait, this isn’t that kind of website. 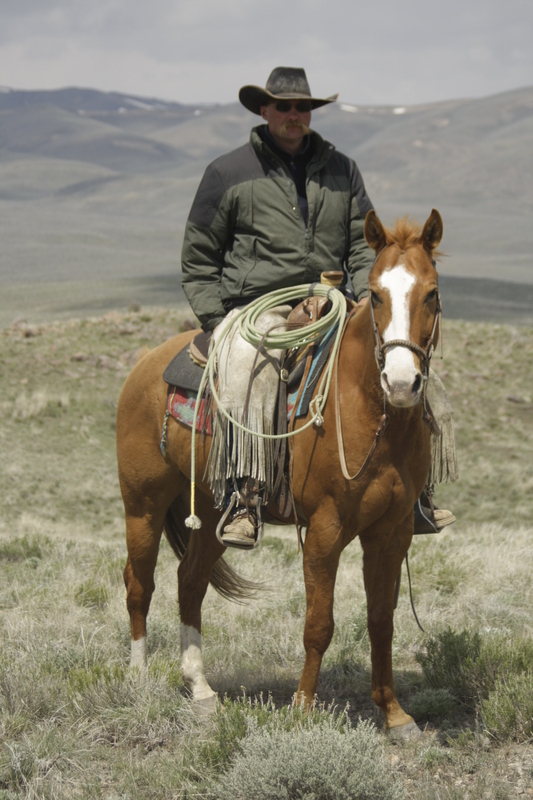 Portrait of a modern buckaroo: shaped hat, handlebar mustachio, down jacket (hey, it was only Memorial Day weekend in North Fork, Nevada), perfectly coiled rope, not too punchy to throw a nose band on a green horse, and chinks. A few days after this photo was taken, Jim called to ask me out. I thought he was about 44 years old, but I still said yes. Another sign you might be married to a buckaroo: you dated a buckaroo, did not break up, and woke up in Reno one day with a wedding ring on your finger. I told Aline she would never have a grass lawn. She said she wasn’t marrying a grass lawn.